For more detailed information see the pages designed for the critical care TTE accreditation exam. 2nd to 5th intercostal space just next to sternum. Probe marker pointed towards patient’s R shoulder. The higher the level the more likely the LV will be at 90 for M-mode measurements. 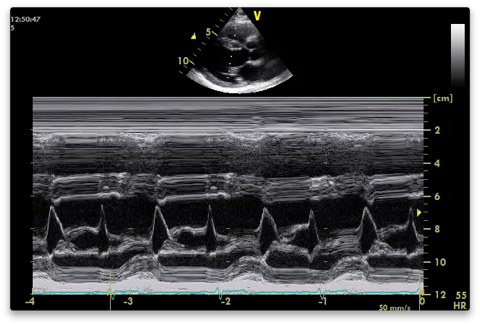 Capture a deep clip looking for pleural and pericardial effusions. Narrow sector width and reduce depth to focus on area of interest. 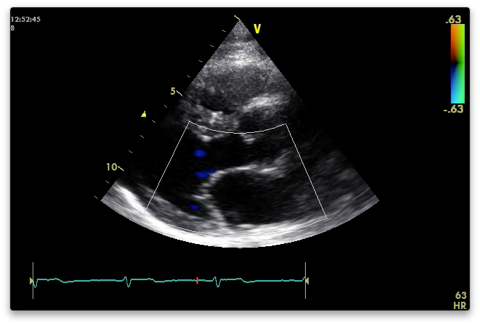 Capture a shallower clip with the heart filling the screen. You are not meant to see the apex of the LV. 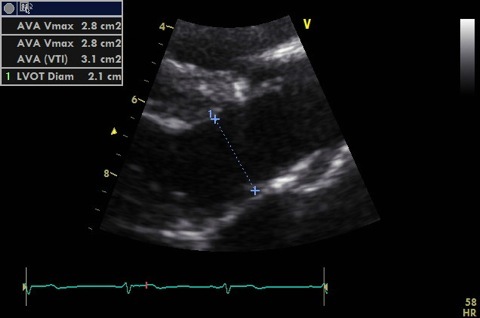 Descending aorta behind posterior MV annulus. Valves for thickness, mobility and calcification. 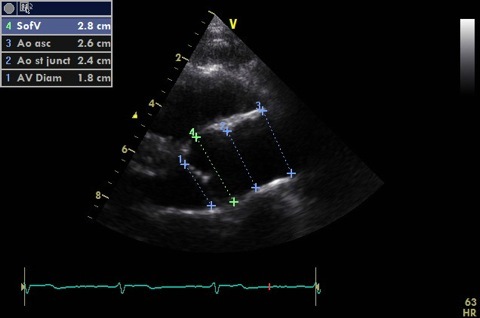 LVOT (up to 1 cm from aortic annulus - must PW at same point in A5C). Image should be shallow, narrow and zoomed to improve accuracy. Cross sectional area is calculated from this. 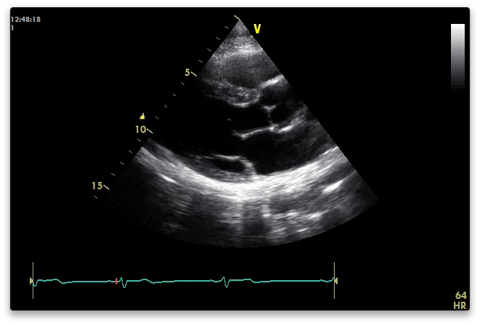 LV measurements can be measured in 2D but M-mode preferable (better resolution) if scan line at 90 degrees. Aortic and mitral valves for stenosis and regurg. Do one at a time. The resolution is better the narrower and shallower you have the colour box (cutting off the near field makes no difference). 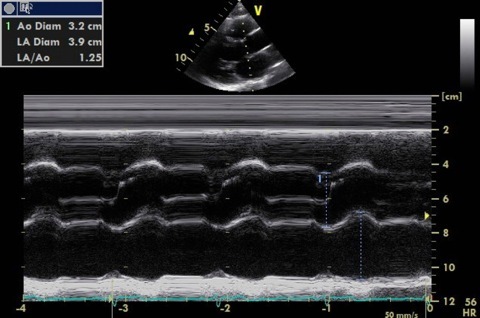 Measure vena contracta if present (narrowest width of regurg colour). 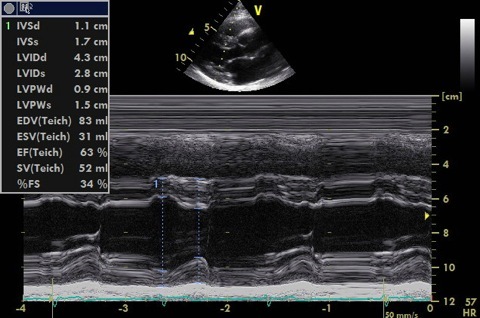 Colour M-mode for AR if present - measure jet width and calculate as percentage of LVOT width. From the PLAX view tilt the probe anteriorly looking towards the patients right hip. 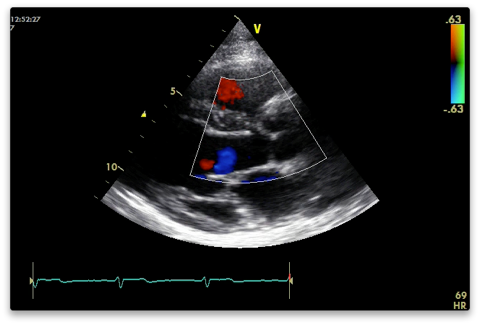 Anterior (upper) and posterior (lower) tricuspid valve leaflets. 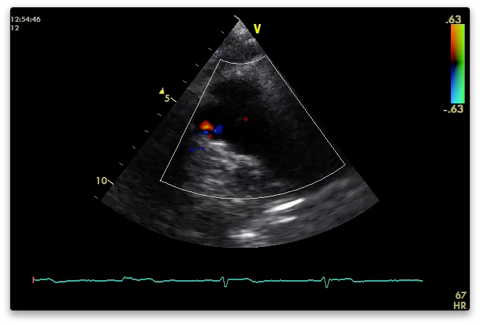 RA, RV, IVC +/-coronary sinus also visible. If TR measure peak velocity - align with jet. From the PLAX view tilt the probe towards the patients left shoulder. 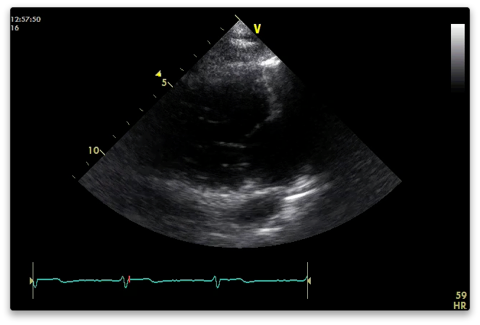 RVOT, pulmonary valve and pulmonary artery visible. 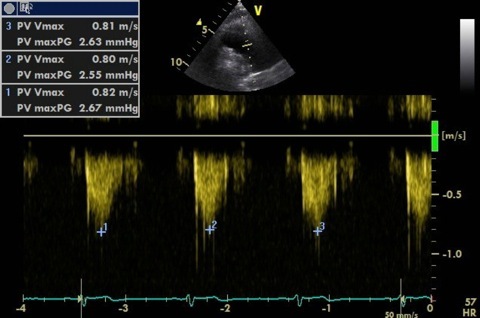 Measure peak velocity of forward flow for stenosis and trace VTI for mean gradient (BSE recommends PW PV inflow for mean gradient). Align with regurgitant jet to measure peak velocity (used to calculate PADP). PR Vmax end diastole for end PADP and PR Vmax early diastole for mean PADP. Many people use PW to asses the PV. Remember you need to measure the maximum velocity which you will miss if the PW sample volume is not placed at the point of greatest velocity. PW is most useful if you suspect that the greatest velocity is not at the level of the valve leaflets (ie to map where this point is).